When Does Stock Picking Work? Some markets challenge active equity managers more than others. Many of the best funds, described in the previous article in this series, have underperformed in recent years, even though they consistently pursue their strategy while taking high-conviction positions. This begs the question of whether returns to stock-picking vary over time. This is the fourth article in a series on the power of investment strategy. The first article introduced investment strategy as an alternative to the style grid for forming active equity mutual fund peer groups. The second article discussed the advantage of diversifying equity portfolios based on fund strategy and proposed a six-strategy core equity portfolio. The third article explained how to identify the best funds within each strategy. Indeed, there is considerable anecdotal evidence that stock picking is effective in certain market environments while not in others. Academic research confirms this, with studies by Gorman, Sapra and Weigand, Petajisto, and von Reibnitz providing a basis for measuring how favorable or unfavorable the current market environment is for stock picking. They paint a picture in which the returns-to-skill rises in tandem with increased stock return cross-sectional dispersion and skewness, along with greater market volatility. That is, high levels of cross-sectional and longitudinal volatility represent a stock picker’s nirvana. Based on these articles, I created active equity opportunity (AEO), a measure of how active the emotional crowds are driving individual stock-return dispersion. The more active the crowds, the greater the returns-to-skill are and vice versa. Active equity managers who build a strategy for harnessing a specific set of return factors prefer a higher level of AEO, since it is more likely their high-conviction picks will outperform. On the other hand, a low AEO foretells a period in which it will be difficult for even the most talented to beat their benchmark. The resulting monthly values for AEO from December 1998 through July 2018 are presented in Figure 1. The average AEO over this time period is 40, which means values greater than 40 signal a better environment for stock picking while lower values signal a worse environment. During this 20-year time sample, 1998 through 2006 and 2008 through 2010 favored stock picking. Of particular interest is that since 2010, AEO has mostly been below average, declining to an all-time low of 18 in mid-2017. It since rebounded to 41 in February 2018, falling to 30 in July 2018. The red shaded areas represent recessions according to the National Bureau of Economic Research, the official arbiter of business-cycle turning points. While there seems to be a relationship between recessions and higher levels of AEO, van Reibnitz, based on a longer 1972 through 2013 fund sample, concludes that “the positive relation between fund activeness and performance is driven by return dispersion, as opposed to business cycle fluctuations.” That is, the impact of AEO on stock picking is largely independent of where we are in the business cycle. 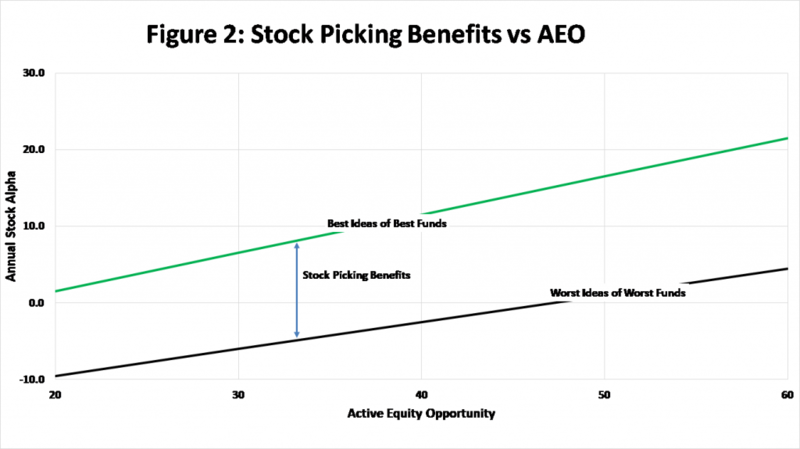 Figure 2 presents the impact of AEO on stock alpha of the best idea stocks of the best funds (i.e. truly active as described in the previous article) versus the worst ideas of the worst funds (i.e. closet indexers). The best (about 10% of all stocks held by active equity funds) are those most held by strategy consistent, high conviction funds, while the worst are those most held by strategy inconsistent, low conviction funds. Best and worst idea stocks are identified by aggregating fund relative holdings. Alpha is stock return net of the Fama & French monthly market returns available on Ken French’s website. Includes all stocks held by at least five active equity mutual funds in each month from January 1998 through May 2017. Sample comprises about half of the stocks traded on US exchanges each month and tens of millions of stock-fund-month observations. The reported results are from a regression of subsequent month stock alpha averages on month beginning AEO. The 20 to 60 range captures 85% of the observed AEO monthly values during this time-period. Data sources: Morningstar and AthenaInvest. Skill benefits remain strong even at low levels of AEO, with differences averaging over 10%, confirming that funds are able to distinguish good from bad investment ideas. Skill benefits increase as AEO increases, reaching 15% at AEO of 60. So, stock-picking skill exists no matter the current state of the economy and the market. However, as AEO drops, more and more stocks held by funds generate negative alpha. At AEO of 20, only the best ideas (top 10%) generate positive alpha while the other 90% sport a negative alpha. Thus, even best funds, those that consistently pursue their strategy and focus most on high-conviction stocks, can underperform when AEO is low, in spite of their investment team’s stock picking prowess. This comports with the anecdotal evidence that stock picking is effective in certain markets while not in others. In a period of low AEO, it may be beneficial to allocate less to stock picking and more to market exposure. Later in the series, we’ll show that aggregating fund-relative holdings by strategy, and short-term ranks by investor preference prove useful for estimating expected individual stock and market returns. Investors are getting used to the decade-long bull market, but economic cycles haven’t gone away. Their portfolios should be prepared. We reported on performance and standard deviation data for advisor-managed models (APM) and fund strategist portfolios (FSPs) to demonstrate how market volatility affected client portfolios on Envestnet’s platform. Investors — big and small — are grappling with a persistently low-growth environment. But that doesn't mean there aren't any good investments out there. See how we identify opportunities in this environment.